To identify closed, sold or threatened churches, DNAinfo supplemented Adams' research with court records, public property records, demolition permits and news reports. "These traditional churches have been losing membership drastically," Taylor said. "You go back to the 1950s, some of the biggest institutions were black churches, the pastors were politically prominent figures." "It's been over for some time," Taylor said. "The populations have dwindled from people moving through the suburbs and the fact that gentrification brings new groups moving in that have no affiliation with the churches." "People have lost interest in the church or because of high prices are leaving the community," he said. "I think the long-term impact of the community is that the makeup of the community is going to change." State court records, which churches must file if they plan to sell religious property, support Williams' observation. Child's Memorial Temple Church, Downtown Baptist Church and Second Providence Baptist Church all cited their failure to afford needed repairs as a reason to sell. In some cases, the churches work out lucrative deals. For example, the property of Child's Memorial Temple, located 1763 Amsterdam Ave. near West 147th Street, was appraised at $4.3 million but the church is getting $6.3 million in value from the property. Harlem's African-American population has decreased while the white population has drastically increased since 2000. Between 2000 and 2014, Harlem's non-Hispanic white population population grew by 580 percent (from 2,255 to 15,552) while the African American population decreased by 8 percent (from 84,279 to 77,339), according to census data. "I don’t think there’s anything we can do with the dwindling membership that’s something that the churches have to deal with," she said. 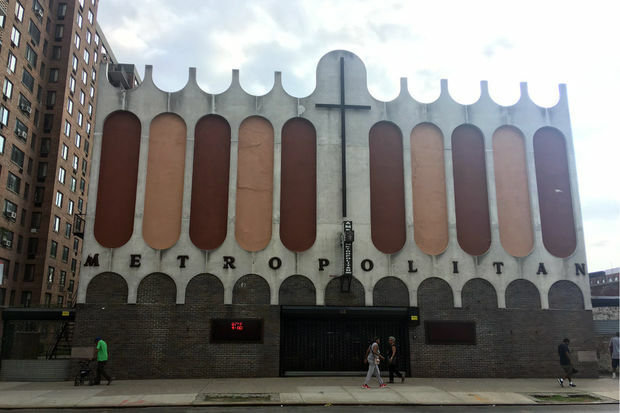 "What we can do is try to help churches not be exploited by developers as some churches have been."